Hilco Valuation Services is considered one of the four largest asset appraisers in the world. The company has been around since 1987 and has grown to cover a varied number of industries. One hallmark of the company’s history has been a willingness to expand its reach. Its most recent initiative formalizes its Transportation and Construction Advisory business. As the division’s title indicates, the primary goal is to create a platform for valuation and advisory services within the transportation, construction and material handling markets. The addition of Bryan Courcier, a two-year veteran of Hilco Industrial, as the senior vice president in charge of the group, enables Hilco to bring more in-depth leadership and expertise to an already active practice. Courcier was a clear choice for this post not just because of his history with Hilco but because he has a wealth of hands-on work with the types of assets he will now be valuing and appraising. Before joining Hilco, Courcier spent 10 years with Ritchie Bros. Auctioneers, but he didn’t just step into an executive leadership position. He had to start at the bottom, a fact he acknowledges. “My experience is a true story of starting from the ground floor and moving up,” Courcier says. Fresh from college, Courcier began his career in an industrial drill yard, actually handling and using equipment, which included everything from pickups to 250-ton cranes. So, from the outset, he was getting familiar with the functional aspect of the equipment. That functional experience began to meld with sales and asset valuation experience when he worked in a consulting role in the Rocky Mountain region, helping contractors with the sale of assets and with earning the best realization of underutilized equipment. But that wasn’t the last rung on the ladder. 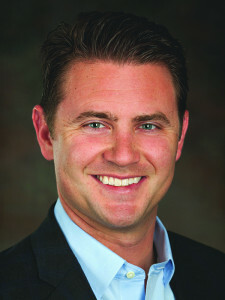 “[I] then worked in a corporate relationship capacity for a little over seven years, focusing on lenders in the construction and transportation space and managing their portfolios and helping them to cover their risk and minimize their losses through the sale of repossessed or lease returned assets,” Courcier says. Even though he was not actively looking to leave, Courcier had already pegged Hilco as a company where he wanted to work. As he transitioned to Hilco Industrial, Courcier continued to utilize the hands-on knowledge he gained as he continued to build on his experience. When you add it all together, Courcier had a vast array of experience. He had literally handled assets, evaluated them and worked on resale, liquidation and portfolio management. With such a utility belt to pull from, Courcier knew, as did Hilco, that he could easily transfer his skill set into the role he now holds. As is usually the case with any new venture, one of the key challenges in the early going is just getting out in the market and attracting business. With business development responsibilities a major part of Courcier’s job, he knows that the first year will be primarily about doing just that. “My primary role in the business development function is to bring more awareness to those type of clients that need appraisals in that industry [and] to have them understand that we have a specific focus and expertise in that area,” Courcier says. Once he is able to capture attention, he plans to use the strengths of his team and Hilco in general to maintain business relationships and develop new ones. That starts with working with people who also have the same type of hands-on experience that Courcier boasts. As Courcier explains, the group’s experience will allow it to go beyond the numbers on a page and really become trusted advisors to its clients. Taking a step further back, having the might of Hilco behind him will also aid Courcier and his team, as will the more focused approach of the group. “Every sales organization tends to focus 80% on the 20% that gives them the most business, and there’s always an opportunity every year to revisit different avenues, different customer bases and see if there are new opportunities there,” Courcier says. With a name like Hilco behind him, if Courcier is able to succeed in his goals, finding business — new or old — shouldn’t be much of a problem.